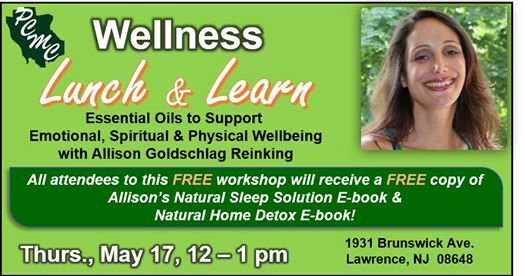 All attendees will receive a FREE copy of Allison's Natural Sleep Solution E-book & Natural Home Detox E-book. * Why essential oils have become so popular. * Natural ways to manage stress, prevent burnout & support both your client's and your own wellbeing. * The power and versatility behind 11 of the most popular oils & how easy it is to fit them into your everyday life. Allison is a Health Educator and has led events for women in recovery. This event is recovery friendly! It is open to anyone & everyone interested in learning more about how essential oils can improve their lives. Those more experienced with oils are also welcome.